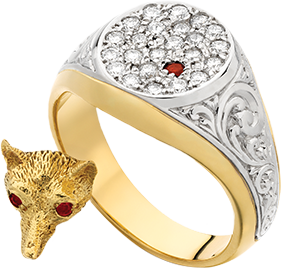 At John W. Thompson & Son located in Sydney CBD we have been custom designing and handcrafting wedding rings, engagement rings and signet rings for over 50 years. We also hand make personalised cufflinks for those special occasions. At John W. Thompson & Son we are artisan engravers that pride ourselves on sophistication, craftsmanship and artistry of the finest quality. Whether you are hand engraving a personal message into your engagement, wedding or signet ring, or if you are personalising your cufflinks, hand engraving can be a unique addition to your precious piece. The history of hand engraving dates back to the Middle Ages and at John W. Thompson & Son we still maintain the traditional practices that were used in the past. 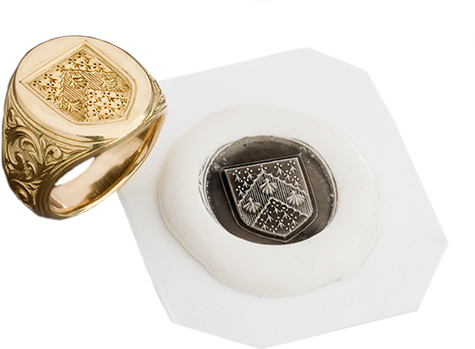 We can custom design and handcraft signet rings for your family seals, crests and coat of arms. Seals have been used throughout history to show personal imprints, act as markings of authenticity and bounding agreements and edicts. Although rarely used today for impressing wax onto a document, seals are still very popular and a great way to cherish your family name. 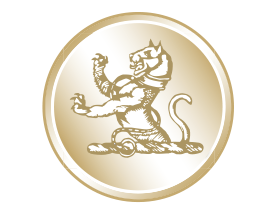 We use the traditional method of seal engraving to create the very best results. We have crafted a hand engraved signet ring for the Prince of Wales and also enjoy the patronage of many high profile Australians. All of our clients have one thing in common – they care about quality, beauty and craftsmanship. 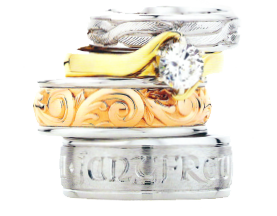 At John W. Thompson & Son we custom design and handcraft engagement and wedding rings in all precious metals. Hand engraving a personal message into your engagement or wedding ring can be a unique addition to your precious piece, visible as an eternal reminder of your love for one another. 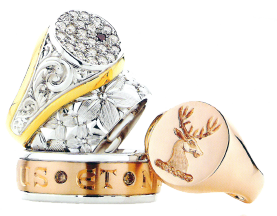 At John W. Thompson & Son we can craft wedding and engagement rings in platinum, yellow, rose and white gold. We can hand engrave messages and phrases in any language and style of lettering you desire. The most beautiful patterns and scrolls can also be carved into your engagement and wedding rings as an everlasting symbol of your love. A great way to add something unique for him on your special day is with custom designed cufflinks. There is no better way to share your love than with a personal message for him to take down the aisle while you share your love together. 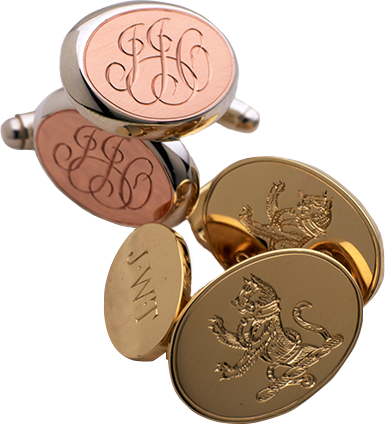 Engraved cufflinks can be a special gift or addition to any outfit, and are a great way to show someone you care! Here at John W. Thompson & Son we are master engravers and can add your personal message to any of your precious metals. Whether you are spicing up your cufflinks or rings or if there’s something extra special you want to add to a pendent or charm we can help customise your piece.